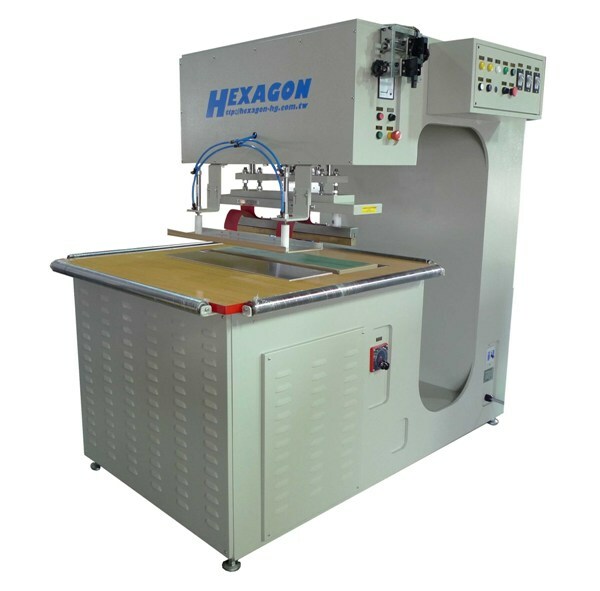 High Frequency Arm Hanging type Canvas machine is suitable for large canvas structure, large awning, large advertising canvas. High frequency plastic welding machine can aplly on plastic application, which contain polarity of the molecular structure. Material which is applicable with high frequency welding are PVC, EVA, PA, PUR, PVDC. When the electric power is applied onto the material, it caused vibration of the molecule which generate heat and enhance melting and joint of the material. Under the frequency of 27.12MHz, the molecule consists of 27,120,000 times of movement per second. Without any imposing of external heat, the welding part creates a stronger bond than the original material.